Cranberry Extract Pills for women and men provide the body with potent antioxidant support. This antioxidant boost supplement also contains triple strength ingredients for urinary tract health. ANTIOXIDANT SUPPORT This dietary antioxidant defense complex contains bioflavonoids carotenoids, as well as polyphenols. This antioxidant blend is fortified with Vitamin C and Vitamin E for the ultimate Immune system support. URINARY TRACT HEALTH Cranberry pills for urinary tract contains proanthocyanidins which not only help maintain a healthy urinary tract, but supports the integrity of the bladder walls as well. 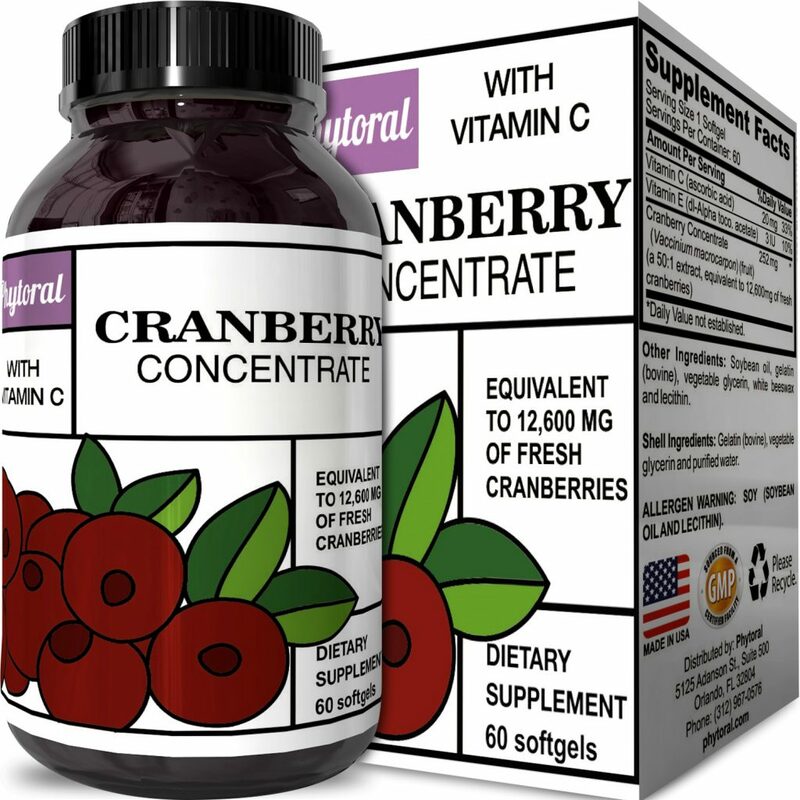 NATURAL AND EFFECTIVE These nutritious natural and effective cranberry pills provide the body with a variety of vitamins and antioxidants, for complete health and vitality. 100% CUSTOMER SATISFACTION This premium bottle with 60 252 mg cranberry concentrate fast acting pills is produced in a FDA, GMP certified facility. They are paraben free and preservative free for ultimate wellness results. These extra strength cranberry pills contain a 50:1 extract concentration equivalent to 12,000 cranberries. Each serving gives you an antioxidant infusion and urinary tract support, for optimum level and health and wellness. This Wellness supplement contains organic acids that gently but powerfully work to balance your urinary tract, and detox the body from toxins. With powerful antioxidants such as Vitamin C and Vitamin E, not only are these triple strength cranberry pills full of essential Vitamins, but they also contain antioxidants unique to berries such as flavonoids, and polyphenols for multifaceted antioxidant protection. These pills help remove unwanted compounds and are easy to swallow as well as rapid absorbing, so you get relief and support fast!